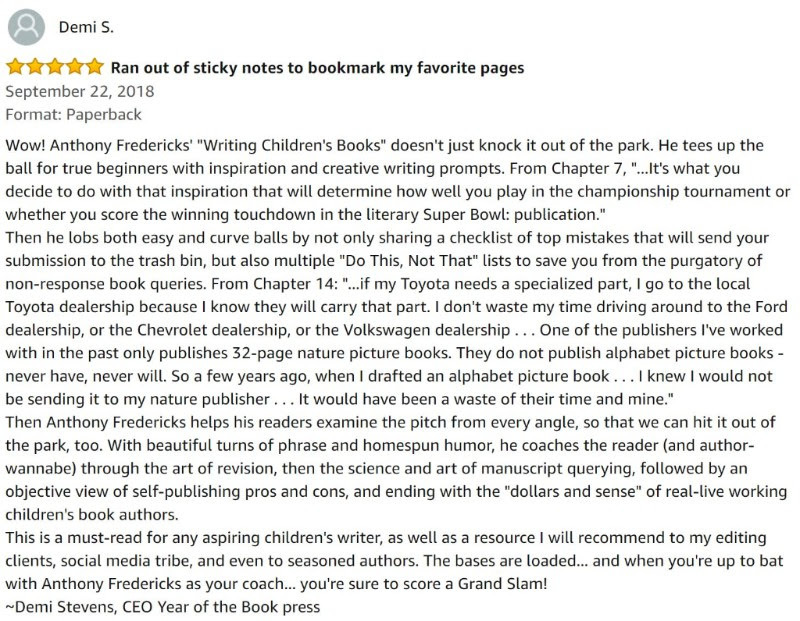 There are multiple lessons to be learned from Anthony D. Fredericks this week… great writing craft, a top-notch book launch, high quality content for anyone who wants to learn how to write a children’s book, and on top of all that is a “meta” lesson on how to leverage a 5-star book review. I have been passively but enthusiastically awaiting the launch of this book for many months now. Anthony Fredericks is the York, PA-based author of over 450 articles and 160 books. But when it arrived in my mailbox today (at the end of a long day leading a book marketing workshop, and with several hours more work left to be done before bed), I still perused it joyfully. After dinner, when it was time to write this week’s missive to you, I decided to pre-empt the planned post and write about Tony’s book instead. So I picked it up and began to read. 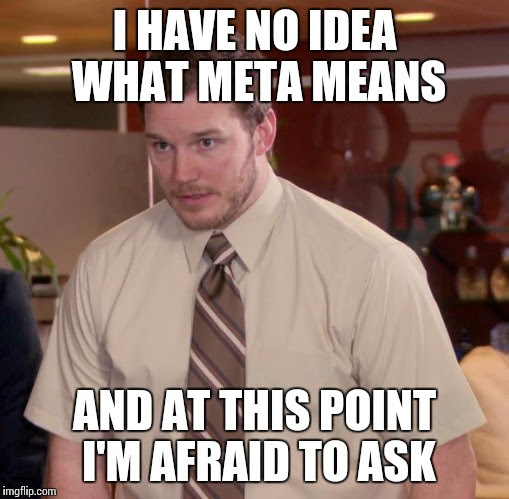 From the opening of the Foreword, I was hooked. This book is the kind of resource that’s been sadly lacking in the world of writing for children’s audiences. Reviewing your favorite books is the best Thank You that can be offered. Not only does it give the author a feel-good moment (so they’re inspired not to give up! ), but it helps other readers find the work, and actually boosts the book’s Amazon ranking! Tony is a fabulous mensch who told me about his book project months ago, so I was looking forward to its ultimate release. He wrote a damn fine book that impresses the bejeezus outta me. Everything about this request appeared gracious and respectful. There is no book I’d rather recommend to you today. So if you’ve been on the fence about how to start writing (or revising, or querying, or publishing) a children’s book, then order up your copy today by clicking HERE. I can’t wait to check this out as I anticipate writing my second children’s book. 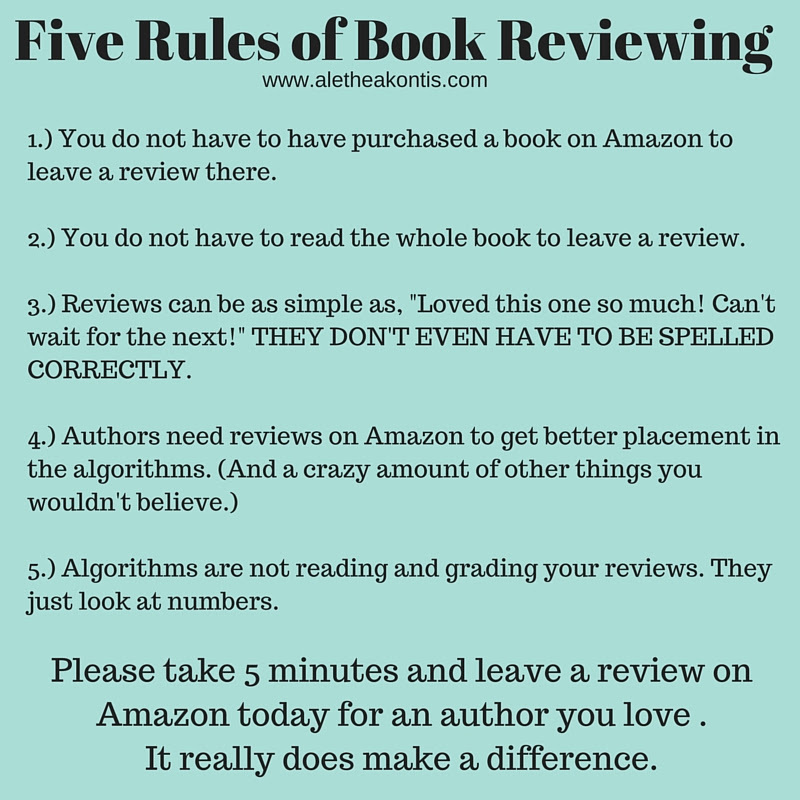 Thanks for the review and reminder of the importance of providing reviews for authors you love.